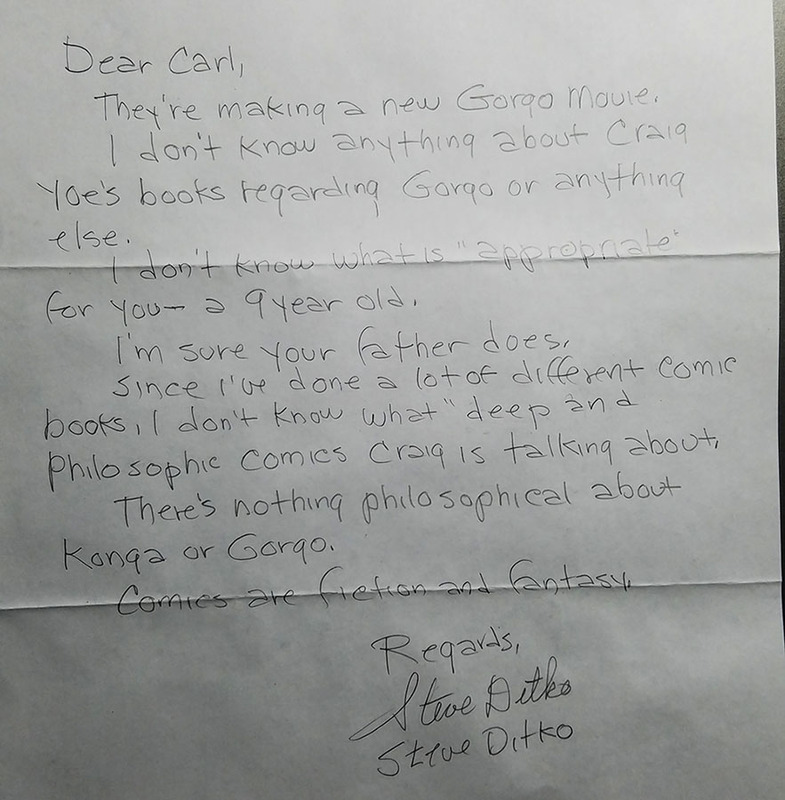 A while ago, I spoke to Craig Yoe about his books about the work of his hero, Steve Ditko, what inspires him and even the time he introduced Steve Ditko to Jim Henson, the creator of the Muppets! 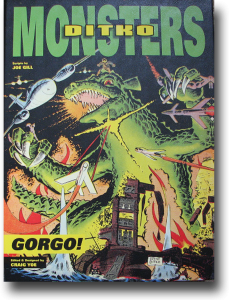 We talked a lot about his books about Gorgo and Konga, too. You should check them out, they’re really cool! Check out the interview below and the picture of Steve Ditko’s letter at the bottom! When did you first learn about Steve Ditko? 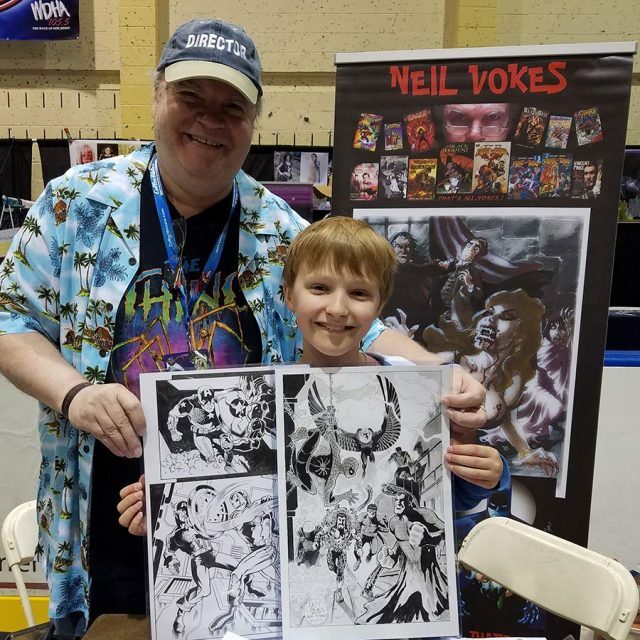 Craig Yoe: When I was not much older than you, I got a hold of some of the first Spider-Man comic books that Steve Ditko drew and I became very, very excited by them because I loved the artwork that he did and I really loved the way he told the story. And because I was a teenager like Peter Parker who had trouble with girls, I could relate to that nerdy aspect of the way Steve Ditko portrayed Peter Parker. And Stan Lee’s great scripting. I found it all fun and exciting and a big thrill. He was the first artist, with the first comic book that I really noted that it was signed by somebody, that there was an actual artist behind the comic. That made me excited because I thought I might want to become a cartoonist like Steve Ditko, my hero. Carl: Who is your favorite character drawn by Steve Dikto? Craig Yoe: Dr. Strange. No doubt! Dr Strange – I think he’s very cool! I love the way he does the hands, the whole mystical thing. And Steve Ditko thought up Dr. Strange on his own, that was his own creation. You know I love all those crazy backgrounds that Dr. Strange flies around in? I think they’re really cool. Carl: Do you have a favorite comic book drawn by him? 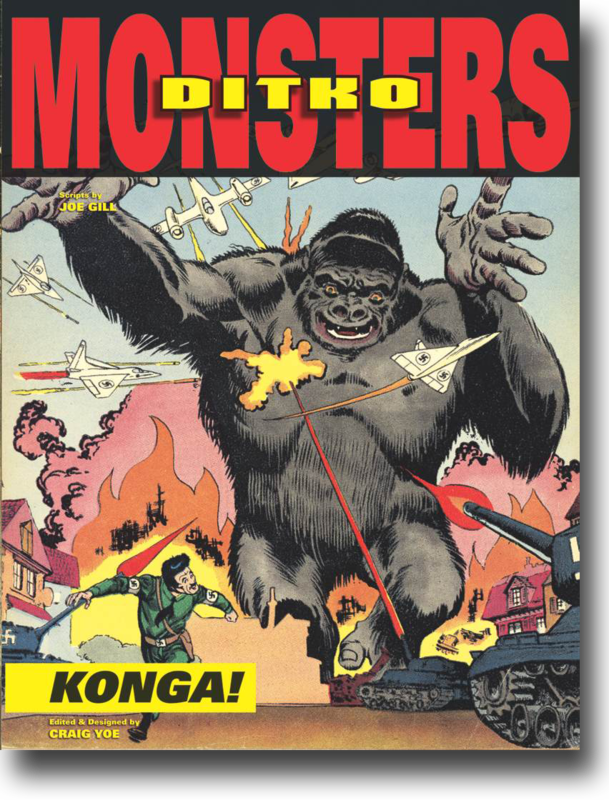 Craig Yoe: I really do like the Konga and Gorgo monster comics. Here, I’ll show you a book! 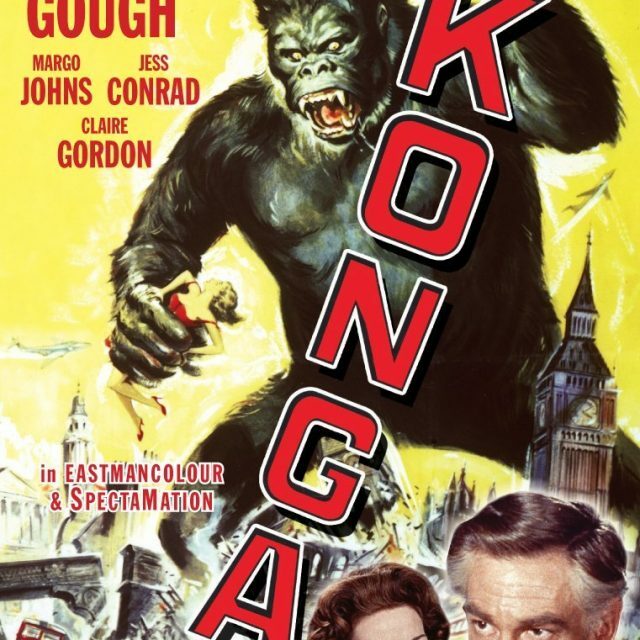 This is the Konga book that I sent you, right? Craig Yoe: Is this the thickest book you’ve got in your collection? Craig Yoe: I love these stories, the way he shows the monster… Did you read all these stories? Craig Yoe: Not yet, well there’s so many of them! You can spend a lifetime reading them and re-reading them! 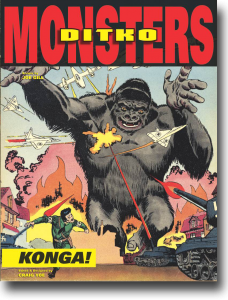 So Konga’s my favorite – and I’m re-reading them right now. Carl: Have you ever met him or spoken with him? Craig Yoe: Sure! I used to be the creative director of Jim Henson’s Muppets. Are you familiar with the Muppets? Craig Yoe: When I worked for Jim, I invited Steve over for lunch one day to give a tour of where we made the puppets – the Creature Shop. And so he came over for lunch and I gave him a tour of the Creature Shop, which he really enjoyed. He was so into some of the creativity behind the Muppets. And then I took him over to our offices and introduced him and Jim Henson. So, the guy who brought Kermit to life and the guy who brought Spider-Man and Dr. Strange to life! I introduced them and they shook hands and that was a very, very exciting moment for me. Carl: How did you get the idea to write four books about Steve Ditko’s comics? Craig Yoe: Well, I’ve done over 100 books, but the first book I did was on Steve Ditko because he was so influential to me when I was a teenager. He was the one who got me really excited about comics and a career related to comics. It was just out of passion. I couldn’t not do it because he was such a hero and inspiration. So I’ve done four, I might do some more, would you like that? Carl: Do you read the newer books by Steve Ditko? Craig Yoe: Yeah, I like his new stuff. I think he’s still being very creative and I admire the fact that he’s in his 80s and is still drawing comics. He has a passion for comics, that’s for sure. The fact that he’s doing this great stuff to this day – it’s a thrill. I think it’s very commendable that he still keeps going. Carl: Are they appropriate for me? Craig Yoe: Well, they’re a little deep. Steve, at this time in his life, is very philosophical. They’re a little deep, but I don’t think they’re inappropriate, but they’re a little bit hard for even me to understand. I think they’re appropriate to read and to re-read to try to understand his point of view. They’re worth digging into. You might enjoy Spider-Man or Dr. Strange a little bit more, but there’s some good things to think about in what he’s currently doing. Craig Yoe: Oh, dude, it was a great thrill, I enjoyed talking with you! 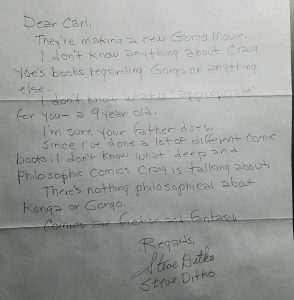 My letter from Steve Ditko answering questions about what Craig and I talked about. Behind the Scenes with Konga!